Can superpowered output audio faster than direct implementation of AURemoteIO, on an iOS device? Is it possible to choose between playing the output through the high speaker (the one you use for phoning) and output through the low speaker (the one for playing music)? Is it possible to route audio to the 3.5mm lightning audio adapter as well as the headphone jack on iPad? Reading microphone input is a common feature in audio apps. Check our SuperpowerediOSAudioOutput class for that. 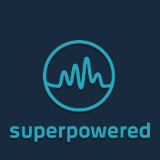 Our SuperpoweredFrequencies example project listens on the microphone too.